Check out these rooms available for rental in the Park System. Unless noted otherwise, rentals are for four hours. Non-profits receive a 10% discount. Please be aware that sternos, candles and alcohol are not permitted at these sites. 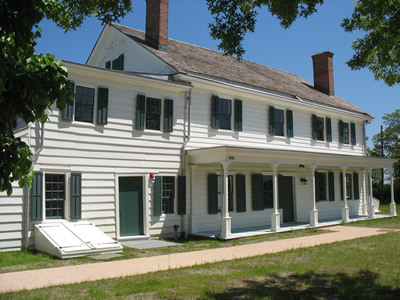 To reserve a room, please call Reservations at 732-842-4000, ext. 1. Rich in history, this building boasts amazing views of the bay. 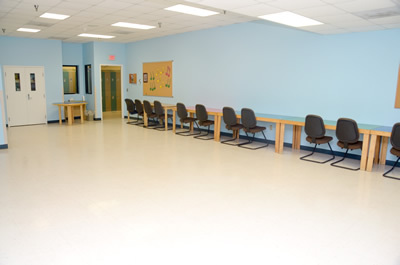 Its meeting room (18' x 30') can accommodate up to 30 people and is available for four-hour blocks at the cost of $150 for county residents and $225 for non-residents. Each additional hour is $65 for residents and $100 for non-residents. Building offers running water and sink. TV, VCR and whiteboard available. 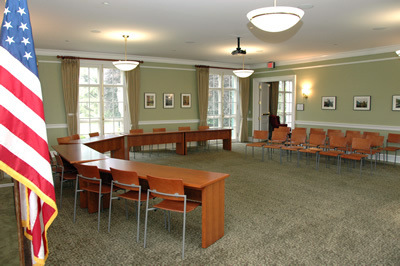 Located in the Park System's Horticultural Center, this room (24' x 26') can accommodate 45 people. Those reserving the room can use the center's kitchen. The cost per four hours is $200 for county residents and $300 for non-residents. Each additional hour is $75 for residents and $125 for non-residents. Building offers running water and sink. Blackboard available. 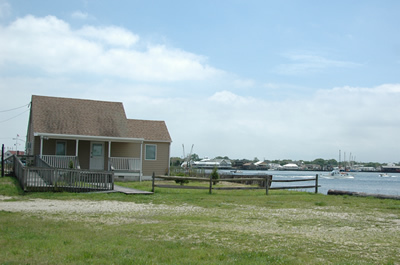 Nestled in the last undeveloped stretch along the Manasquan River, Fisherman's Cove Activity Center can hold up to 30 people. The room is 23' x 29'. The cost per four hours is $125 for county residents and $200 for non-residents. Building offers running water and sink. Please note that parking is limited to street availability. Building is closed between November and March for winterization. A recent acquisition, the Fort Monmouth Recreation Center is the Park System’s first indoor recreation facility. 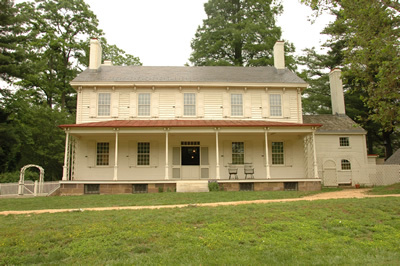 Two of its rooms are available for rental; each can accommodate 35 people. The cost to rent one room for a two-hour block is $65 for in-county groups ($25 each additional hour) and $130 for out-of-county groups ($50 each additional hour). 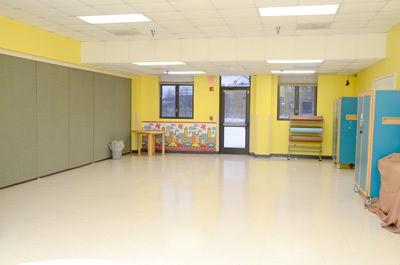 The rooms can be rented together at the cost of $145 for in-county groups ($40 each additional hour) and $200 for out-of-county groups ($80 each additional hour). In-county groups are charged $25 for a two-hour block for one room ($10 each additional hour), or rent both rooms for $65 for a two-hour block ($15 each additional hour). Out-of-county groups are charged $50 for a two-hour block for one room ($20 each additional hour), or rent both rooms for $100 ($30 each additional hour). Light and airy, this charming rustic room (28' x 36') can accommodate up to 45 people. 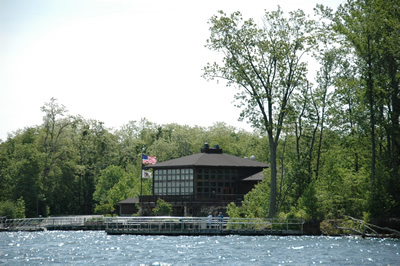 The cost to rent the Huber Woods Lodge per four hours is $200 for county residents and $300 for non-residents. Each additional hour is $75 for residents and $125 for non-residents. TV and VCR/DVD available. 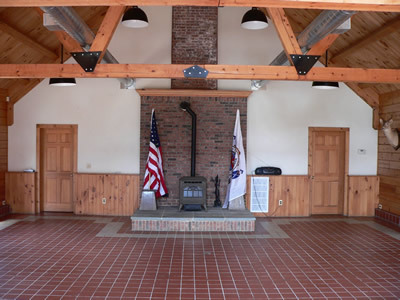 The building is air conditioned and has a cast iron wood burning stove. 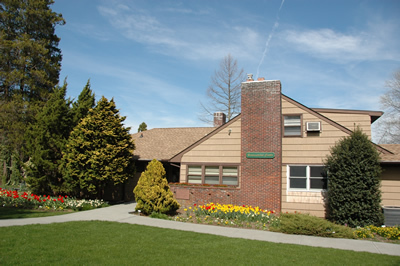 Please note that restrooms are located across the small courtyard in the main Environmental Center building. 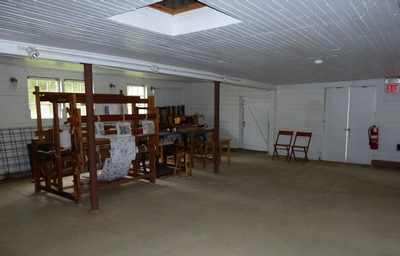 Located in the Longstreet Farm Visitor Center, this welcoming room can accommodate up to 35 people. 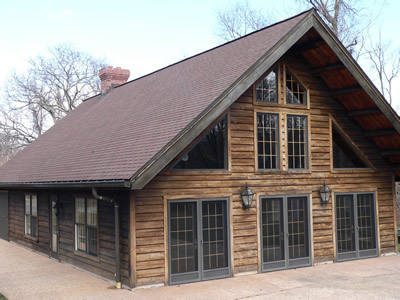 Heated and air-conditioned, the room (26’ x 26’) is pleasant any time of year. The rental cost is $150 for county residents and $200 for non-residents per four hours. Each additional hour is $50 for county residents and $100 for non-residents. 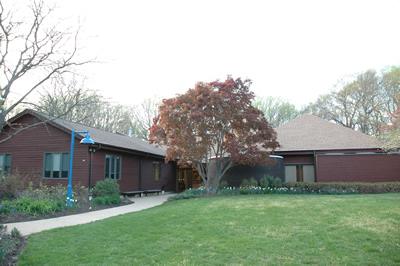 Please note that bathrooms are located across the parking lot in the Holmdel Park Shelter Building. This modern building features spectacular views and two rooms that can be rented. 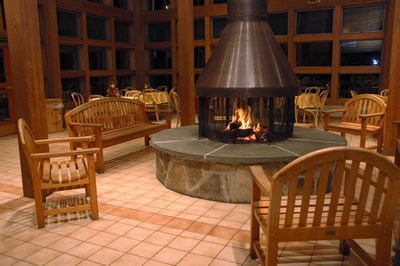 The large Waterview Room, available evenings only, boasts a charming fireplace at its center. 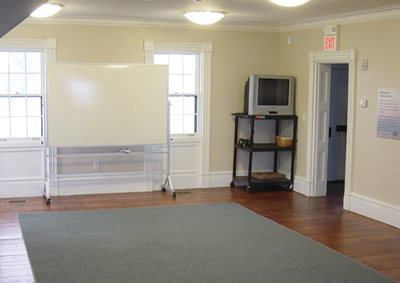 Measuring approximately 35' x 35', the room can accommodate up to 60 people. The cost is $250 for county residents and $375 for non-residents for three hours. Each additional hour is $100 for residents and $150 for non-residents. Please note that the Waterview Room does not have air conditioning. 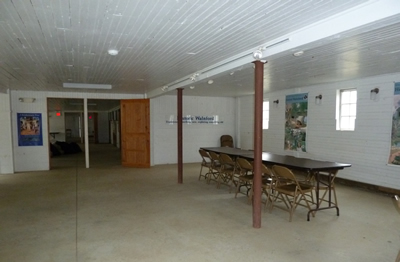 Also located within the Visitor Center is a smaller room (19' x 27') that can accommodate up to 30 people. There is a small projector screen in this room. The cost for this room is $150 for county residents and $225 for non-residents for four hours. Each additional hour is $65 for residents and $100 for non-residents. The building offers running water and sink. TV and VCR available. 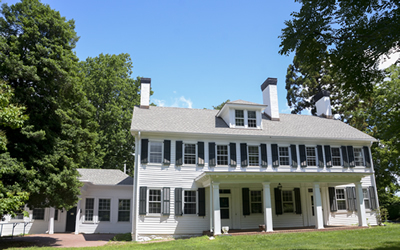 Recently renovated, this historic farmhouse offers the spacious and elegant Tatum Room. Perfect for special occasions such as weddings and reunions, it can also be used for meetings and other events accommodating up to 50 people. The cost per four hours is $525 for county residents and $675 for non-residents; per eight hours is $675 for county residents and $975 for non-residents. 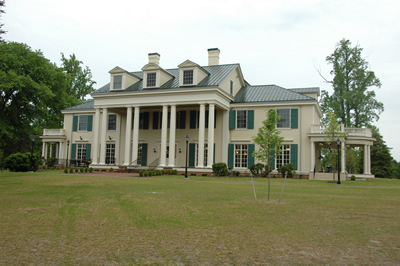 The Activity Center also offers the Storey Room and Parlor. Rented together, this space can accommodate 49 people. 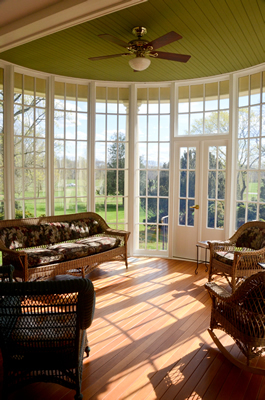 The Storey Room is furnished as a meeting room while the Parlor serves as a lounge. The cost per four hours is $275 for county residents and $425 for non-residents; per eight hours is $425 for county residents and $725 for non-residents. 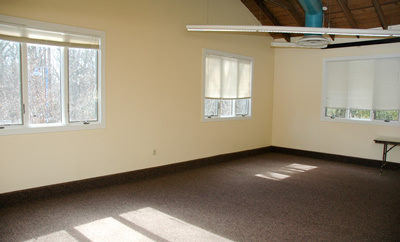 Rental of the whole building can accommodate up to 99 people max. Whole building rental for four hours is $775 for county residents and $1,025 for non-residents. The Red Hill Activity Center's Room 1 can accommodate 30 people and costs $150 for county residents and $225 for non-residents. Each additional hour is $65 for residents and $100 for non-residents. Room 2 can accommodate 27 people and costs $150 for county residents and $225 for non-residents. Each additional hour is $65 for residents and $100 for non-residents. The room includes a sink and refrigerator. 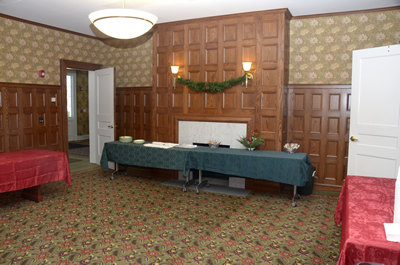 The spacious Heath Room can fit 75 people and costs $275 for county residents and $350 for non-residents. 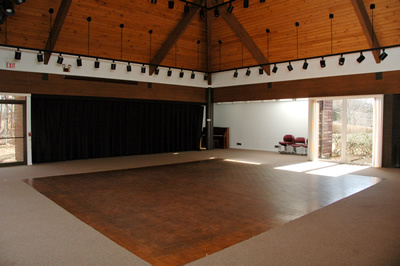 The Heath Room features a small (20' x 8') permanent stage at one end of the room. Both rooms are available in four-hour blocks. Each additional hour is $75 for residents and $100 for non-residents. This air-conditioned building offers running water and sink. Blackboard available. Classically elegant yet modern, this meeting room (30' x 35') in the newly rebuilt Visitor Center features a built-in large screen, power point projector and sound system. Accommodating up to 45 people, the meeting room costs per four hours $525 for county residents and $750 for non-residents. An eight hour block is $675 for county residents and $975 for non-residents. The building offers a small kitchen. TV, VCR and blackboard available. 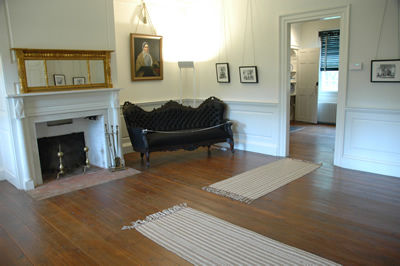 Use of the Oak Room included. This room can accommodate up to 12 people and costs $75 for county residents and $100 for non-residents. The building offers a small kitchen. It is available for two hour blocks. Airy yet cozy, this room can hold eight people, perfect for an intimate gathering, and costs $75 for county residents and $100 for non-residents. The building offers a small kitchen. It is available for two hour blocks. The first floor of the Thompson Park Visitor Center is available for special use on weekend evenings only. It can accommodate up to 175 people. The cost for a four-hour block is $815 for county residents and $1,180 for non-residents; for an eight-hour block the cost is $1,180 for county residents and $1,900 for non-residents. 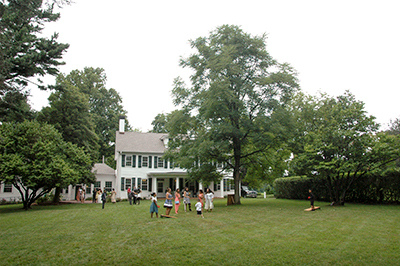 Elegant and historic, the Waln House dates back to 1774 and offers two rooms for rental. 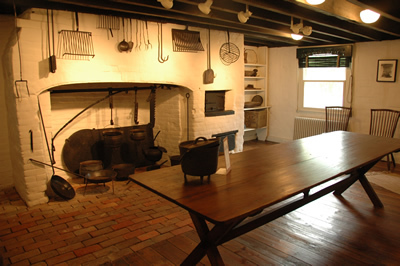 The charming Open Hearth Kitchen can accommodate 12 people and is available in four-hour blocks at the cost of $50 for county residents and $75 for non-residents. Each additional hour is $25 for residents and $40 for non-residents. 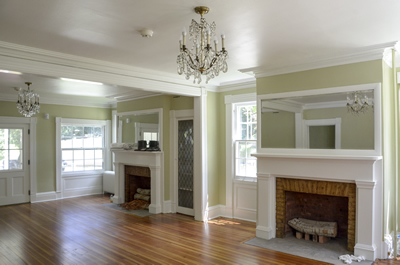 The spacious Front Parlor, which accommodates 30 people, is available for $100 for residents and $150 for non-residents. Each additional hour is $50 for residents and $75 for non-residents. There is running water and minimal electricity in the building. The building is not air conditioned. 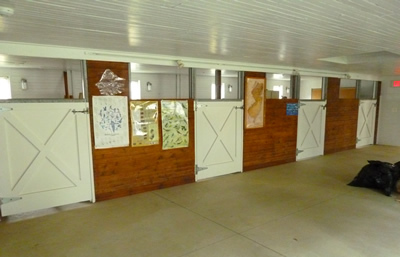 Restrooms located in the Wagon Barn. Please note that paths onsite are gravel with minimal lighting at night. Love the site but need a larger space? 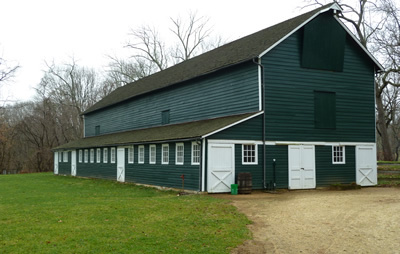 Check out these rooms in the barn. Room 1 can accommodate 60 people and costs $100 for county residents and $200 for non-residents per four hours. Each additional hour is $50 for residents and $75 for non-residents. Rooms 1, 2 & 3 can be rented together to accommodate 120 people. The cost is $200 for county residents and $300 for non-residents for four hours. Each additional hour is $100 for residents and $150 for non-residents. 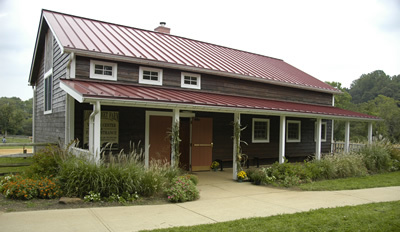 Restrooms located in nearby Wagon Barn. Please note that paths onsite are gravel with minimal lighting at night. There is no climate control in the Barn and minimal electricity. Grills are not permitted on site.